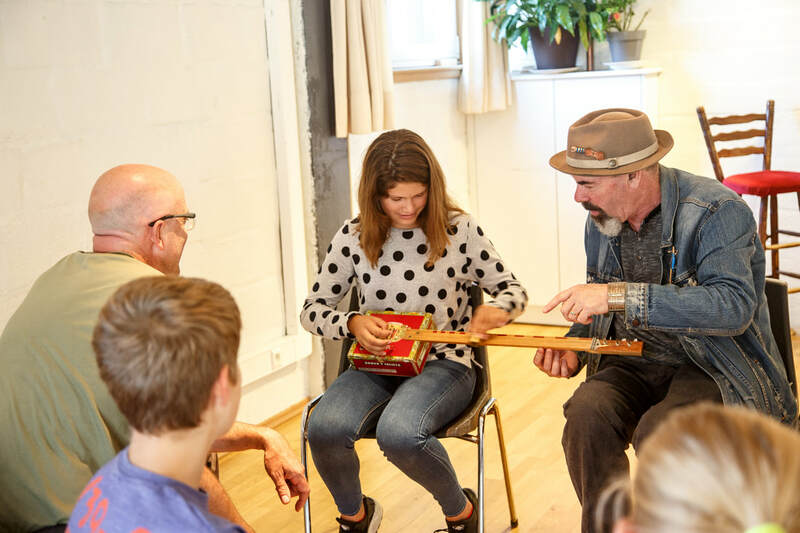 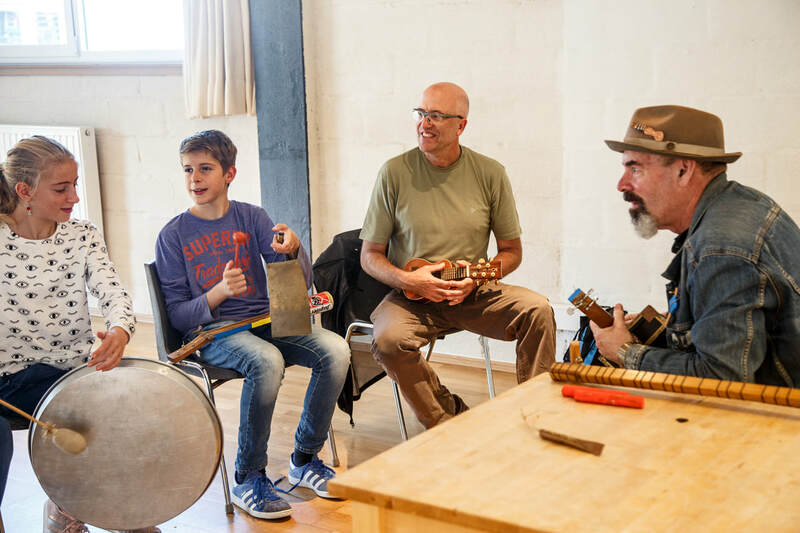 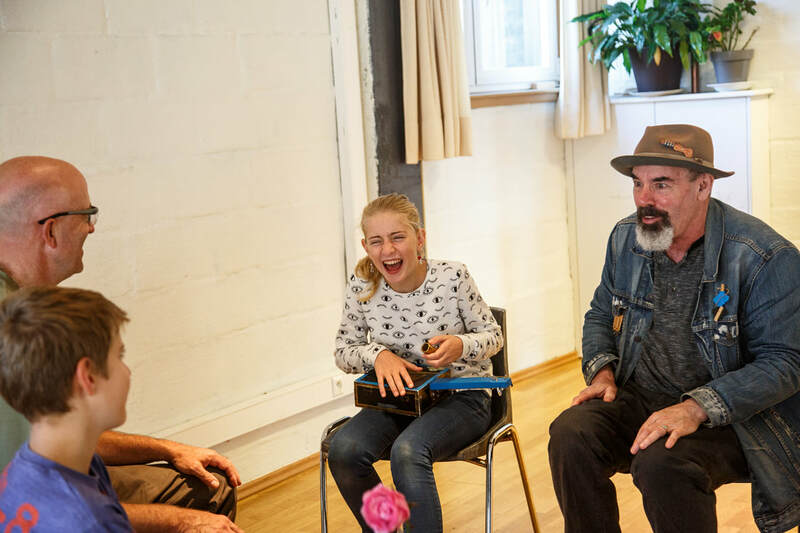 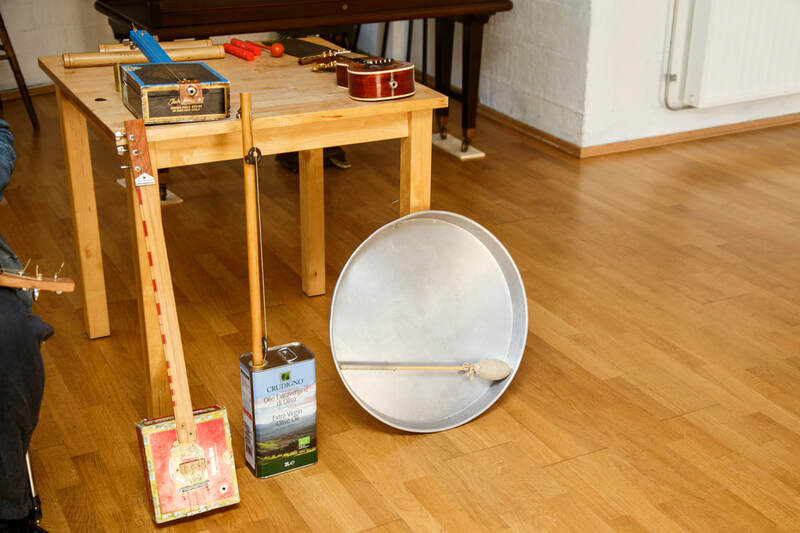 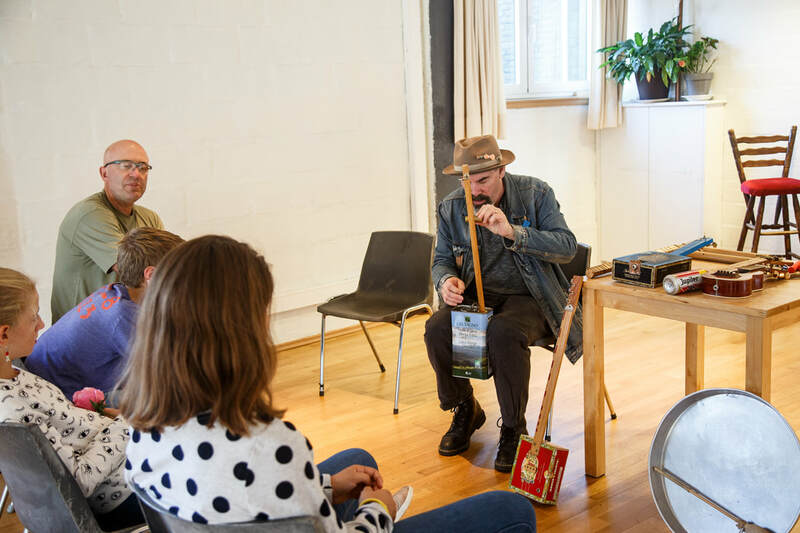 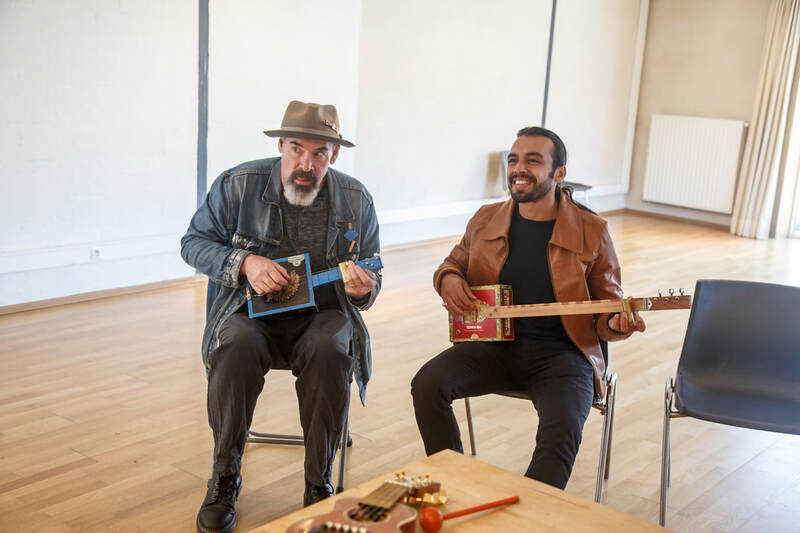 Stephen's Cigar Box Guitar Workshop at the deFENIKS open house in Mortsel, Belgium was a hands-on experience for participants. 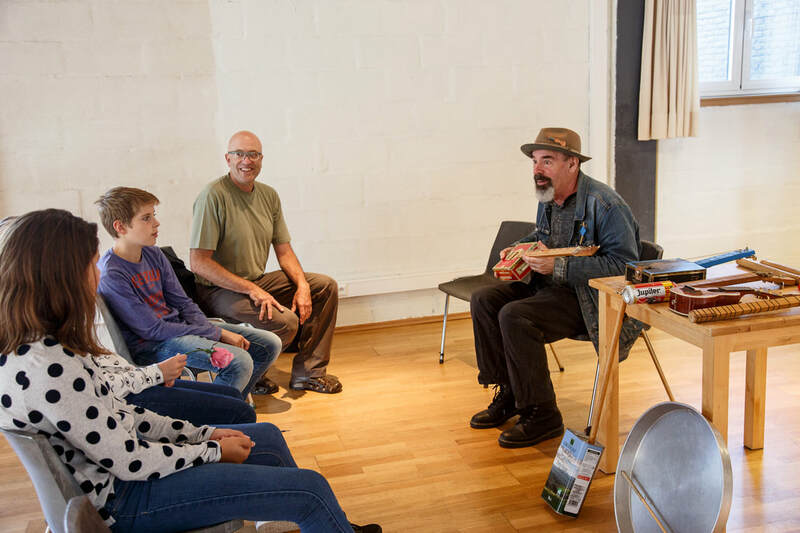 Stephen briefly talked about the history of the cigar box guitar, demonstrated his cigar box guitars and miniature guitar and described how they were made. 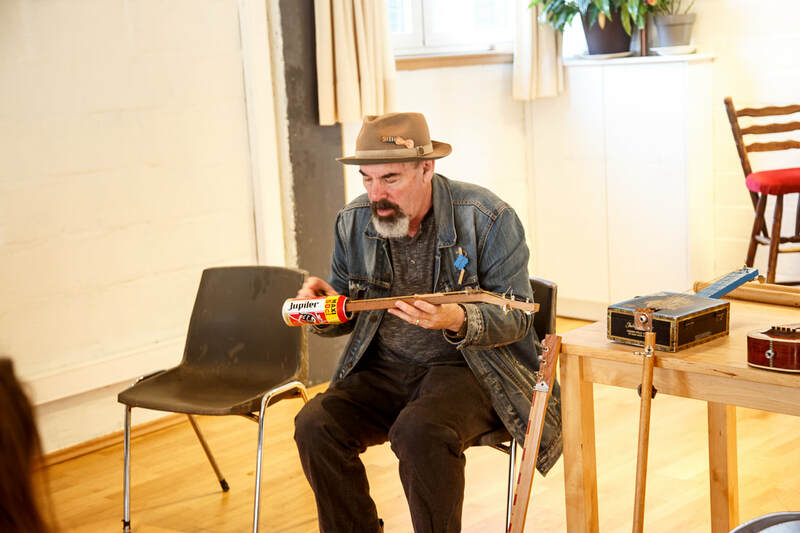 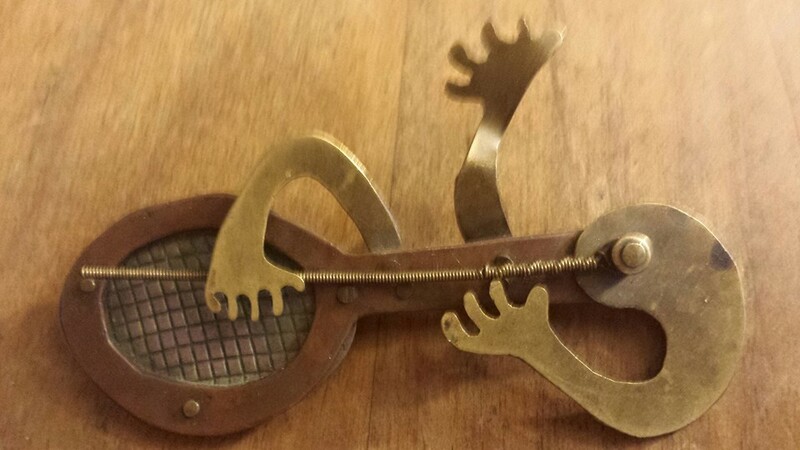 He also demonstrated a beer-can guitar he had made on site with a Belgium beer can, and a work in progress, an olive-can bass. 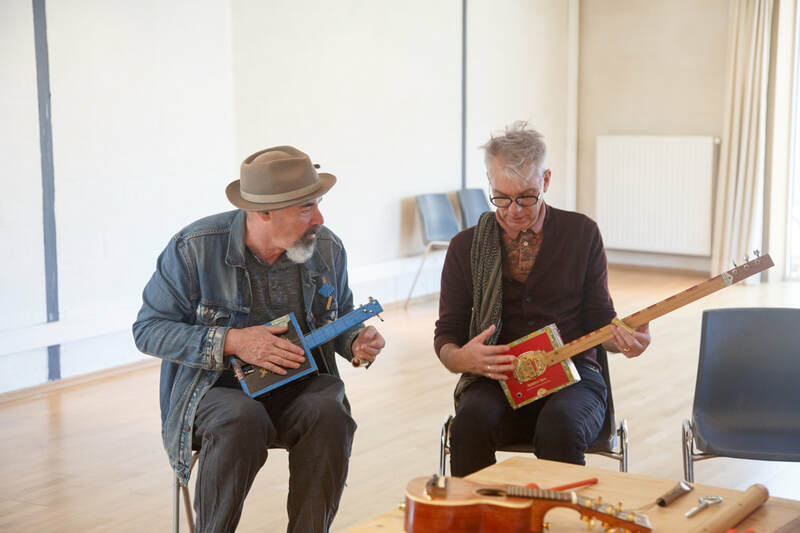 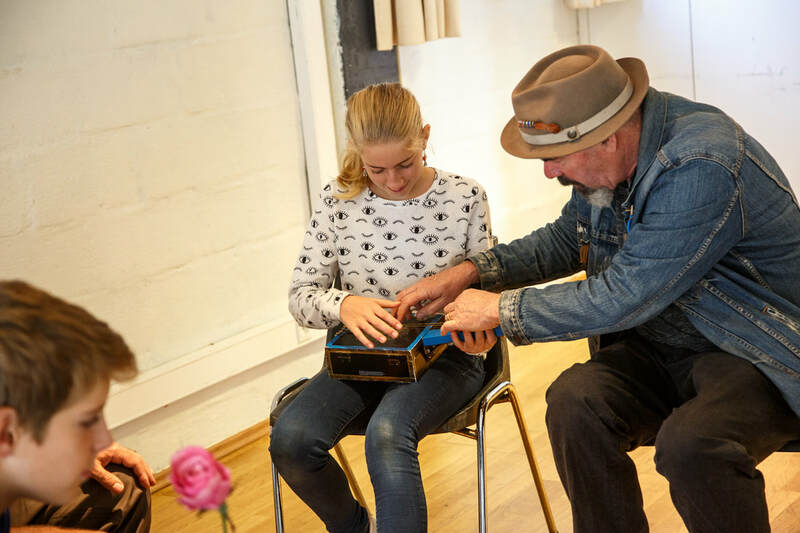 Participants then had a chance to play the instruments with Stephen showing them how to play slide cigar box guitar. 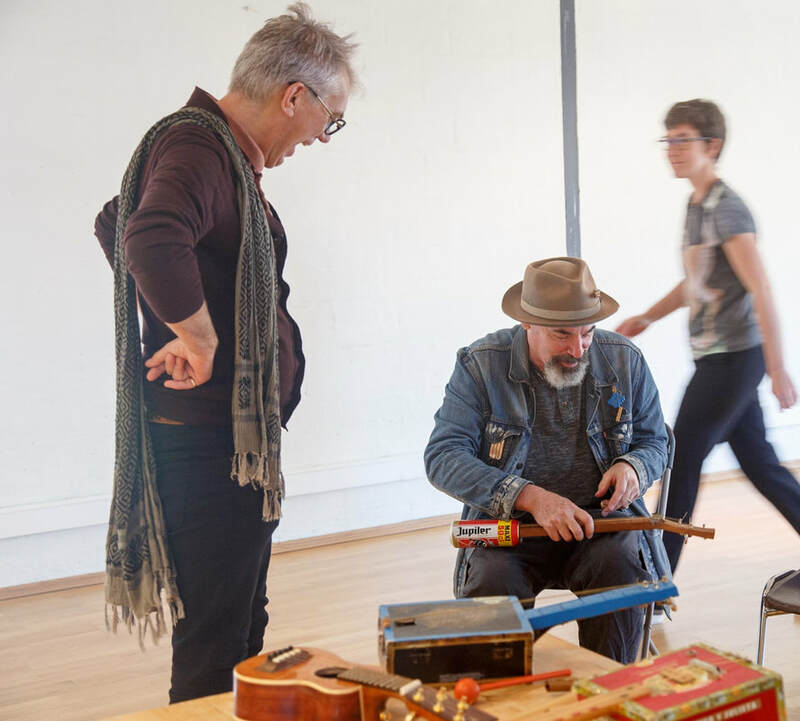 Stephen then led a group jam session using cigar box guitars, miniature guitar, beer-can guitar, and homemade percussion instruments.